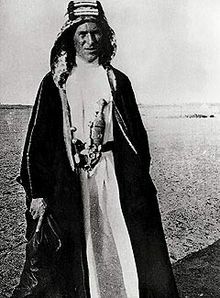 The Arab Revolt (1916-1918) was initiated by the Sherif Hussein bin Ali with the aim of securing independence from the ruling Ottoman Turks and creating a single unified Arab state spanning from Aleppo in Syria to Aden in Yemen. The Young Turk Revolution began on 3 July 1908 and quickly spread throughout the empire, resulting in the sultan's announcement of the restoration of the 1876 constitution and the reconvening of parliament. This period is known as the Second Constitutional Era. The Arabs' demands were of a reformist nature, limited in general to autonomy, greater use of Arabic in education, and changes in conscription in the Ottoman Empire in peacetime for Arab conscripts that allowed local service in the Ottoman army. In the elections held in 1908, the Young Turks through their Committee of Union and Progress (CUP) managed to gain the upper hand against the rival group led by Prens Sabahaddin. The CUP was more liberal in outlook, bore a strong British imprint, and was closer to the Sultan. The new parliament comprised 142 Turks, 60 Arabs, 25 Albanians, 23 Greeks, 12 Armenians (including four Dashnaks and two Hunchas), 5 Jews, 4 Bulgarians, 3 Serbs, and 1 Vlachs. The CUP in the Ottoman parliament gave more emphasis to centralization and a modernization programme. At this stage Arab nationalism was not yet a mass movement, even in Syria where it was strongest. Many Arabs gave their primary loyalty to their religion or sect, their tribe, or their own particular governments. The ideologies of Ottomanism and Pan-Islamism were strong competitors of Arab nationalism. Arab members of the parliament supported the Countercoup (1909), which aimed to dismantle the constitution and restore the monarchy of Abdul Hamid II. The dethroned Sultan attempted to regain the Caliphate by putting an end to the secular policies of the Young Turks, but was in turn driven away to exile in Selanik by the 31 March Incident and was eventually replaced by his brother Mehmed V Reşad. It should also be noted that in the early days of the Revolt, Hussein's forces were largely made up of Bedouin and other nomadic desert tribes, who were only loosely allied, loyal more to their respective tribes than the overall cause. Feisal had hoped that he could convince Arab troops serving in the Ottoman Army to mutiny and join his cause; but the Turkish government sent most of its Arab troops to the front-lines of the war, and thus only a handful of deserters actually joined the Arab forces until later in the campaign. Picture - Arab Soldiers in the Arab Army during the Arab Revolt of 1916-1918. The Arabs are carrying the Arab Flag of the Arab Revolt and pictured in the Arabian Desert. Because of repression by the Ottoman Empire and their Central Powers allies, Grand Sharif Hussein, as the head of the Arab nationalists, entered into an alliance with the United Kingdom and France against the Ottomans sometime around 8 June 1916, the actual date being somewhat uncertain. This alliance was facilitated by the services of a mysterious young Arab officer in the Ottoman army named Muhammed Sharif al-Faruqi. By the time of Aqaba's capture, many other officers joined Feisal's campaign. A large number of British officers and advisors, led by Lt. Col.s Stewart F. Newcombe and Cyril E. Wilson, arrived to provide the Arabs rifles, explosives, mortars, and machine guns. Artillery was only sporadically supplied due to a general shortage, though Feisal would have several batteries of mountain guns (under French Captain Pisani) for the Megiddo Campaign. Egyptian and Indian troops also served with the Revolt, primarily as machine gunners and specialist troops, a number of armoured cars were allocated for use, the Royal Flying Corps often supported the Arab operations, and the Imperial Camel Corps served with the Arabs for a time. A small contingent of French soldiers also joined the Arabs, although their relationship with the Arabs was generally antagonistic, due to France's loudly-proclaimed imperial ambitions in Syria. In 1918, the Arab cavalry gained in strength (as it seemed victory was at hand) and they were able to provide Allenby's army with intelligence on Ottoman army positions. They also harassed Ottoman supply columns, attacked small garrisons, and destroyed railroad tracks. A major victory occurred on 27 September when an entire brigade of Ottoman and German troops, retreating from Mezerib, was virtually wiped out in a battle with Arab forces near the village of Tafas (which the Turks had plundered during their retreat). In part due to these attacks, Allenby's last offensive, the Battle of Megiddo (1918), was a stunning success. The Ottoman army was routed in less than 10 days of battle. Allenby praised Feisal for his role in the victory: "I send your Highness my greetings and my most cordial congratulations upon the great achievement of your gallant troops... Thanks to our combined efforts, the Ottoman army is everywhere in full retreat". 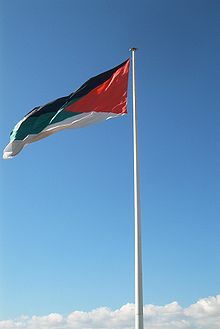 The United Kingdom agreed in the Hussein-McMahon Correspondence that it would support Arab independence if they revolted against the Ottomans. The two sides had different interpretations of this agreement. In the event, the United Kingdom and France reneged on the original deal and divided up the area in ways unfavourable to the Arabs under the 1916 Sykes-Picot Agreement. Further confusing the issue was the Balfour Declaration of 1917, which promised support for a Jewish "national home" in Palestine. The Hedjaz region of western Arabia became an independent state under Hussein's control, until 1927, when, abandoned and isolated by the British policy-which had shifted support to the al Saud family-it was conquered by Saudi Arabia.